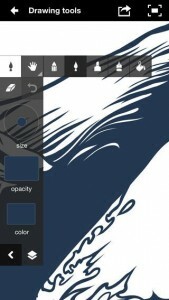 Bravr design experts explore some of the best apps for digital design enthusiasts. Creating design on mobile technology has not always been easy. It has only been through the introduction of touch screens with retina display that we are able to view images in the high resolution required for design. While technology has come a long way, there are still obstacles to designing via a tablet of mobile. For example many Apple users struggle to find an affordable, quality stylus to use on their devices. With this in mind, I have compiled a list of my favourite design related apps that can be used on the go without a stylus. If you find yourself on the move and need to make some touch-ups to your image, then Adobe Photoshop Touch is essential. 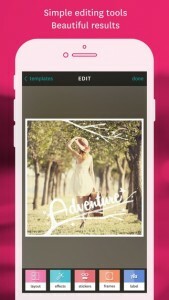 Released by Adobe, the purpose of this app is to touch up images and add selected filters and colour adjustments. Even on a smaller screen, this app works well and is worthy of a paid download. The app also has a layer function so you can continue editing each layer. Because it is for mobile devices, it can be tricky to add pixel perfect detailing, so I would recommend using this app primarily to add filters and colour effects to your image. Another Adobe app finds its way into this list with Adobe Ideas. 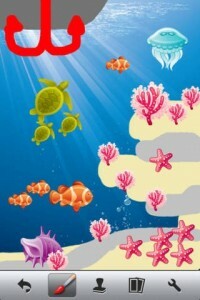 This is a companion to Adobe Illustrator which supports vector imagery. This app is essentially a doodling app for vectors and has a nice selection of brushes whilst enabling you to share your images via social media. You are also able to sync your files with the Adobe Creative Cloud and edit them on your iPad or computer. If you find yourself constantly doodling shapes and cartoon characters all the time then this app is great. Like the name says, it is designed for doodling and has a range of brushes, colours and effects so you can turn your doodles into little pieces of art. This is a simple, clean and effective app. FX Photo Studio is for artists and designers who do photography edits. 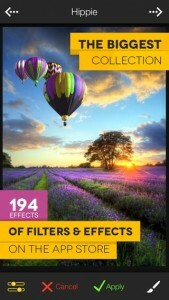 It has completely customisable filters that are all designed around real manual photography techniques. It also has a set of preinstalled filters so you can enhance your image further. 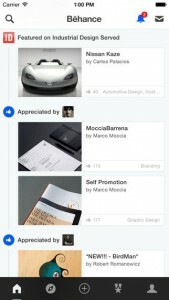 Here at Bravr we are big fans of the design based social network Behance (Check out our portfolio). The app enables you to browse designs and check up on the people you follow. 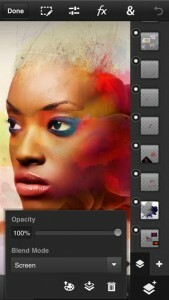 You can also upload images to your profile which may be handy if you have recently created an image in Photoshop Touch. I have personally met a lot of designers who think they know it all, especially when it comes to typography. 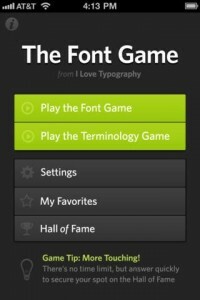 This game tests your knowledge by inviting you to correctly identify different typefaces. As well as being fun, it’s a great way to get familiar with different typefaces. If you get a high enough score, you also get listed in the hall of fame! 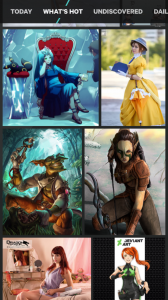 A lot of artists are on the digital art community DeviantArt. Over the years this website has grown to have millions of users. It is only recently that they released their app, which enables you to view your profile and those of other users. A new feature of updating your status has been introduced but the best feature is that you are able to track and upload your imagery with ease. Draw Something is a really fun game if you like to draw. This two player game asks one player to draw and image and the other to guess what it is. While some people will opt for stick figures, many players use the game as a chance to get creative. Websites like http://bestofdrawsomething.com/ chronicle some of the more advanced design efforts. 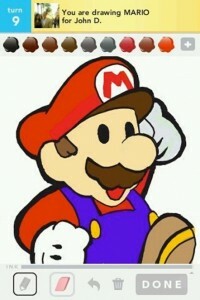 It’s a great game and incredibly fun to play. This is probably the best app available for making collages. With numerous templates installed, user can collect image stylishly and easily. It’s useful for creating pictures of you and your friends, but can also be used to showcase your best artwork into one picture. 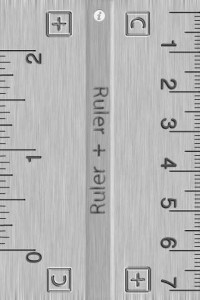 Ruler Plus is, quite literally a digital ruler. Unsurprisingly, it’s great for measuring image sizes. Because of your phone’s back light, it can also be used as a light box to measure your drawings. It is particularly handy for measuring perspective and also figuring out spacing for fine art images. It is very simple and very effective.